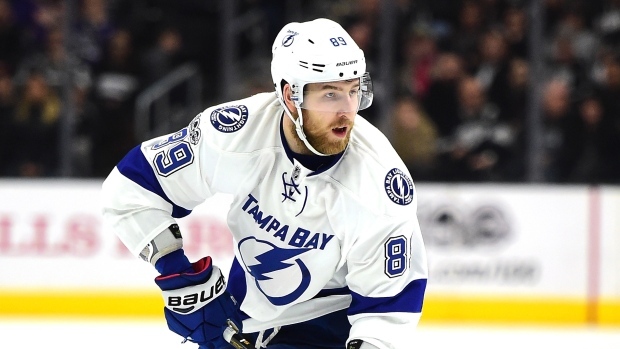 The Montreal Canadiens have acquired defenceman Nikita Nesterov from the Tampa Bay Lightning in exchange for defenceman Jonathan Racine and a sixth-round pick in 2017. Nesterov has three goals and nine assists in 35 games this season. He scored three goals and added six assists in 57 games last season. The 23-year-old Russian is set to become a restricted free-agent on July 1. Nesterov, a left-hand shot, was selected by the Lightning in the fifth round (148th overall) of the 2011 draft. Racine, also 23, has three assists in 26 games with the AHL's St. John's IceCaps this season. He was a third-round pick of the Florida Panthers in 2011. Racine was acquired by the Canadiens in October, 2016 in the trade which sent Tim Bozon to the Panthers.